Say goodbye to toilet paper and experience the new clean! The Brondell FreshSpa dual temperature bidet toilet attachment is a simple and inexpensive way to retrofit your existing toilet into a hygienic bidet. 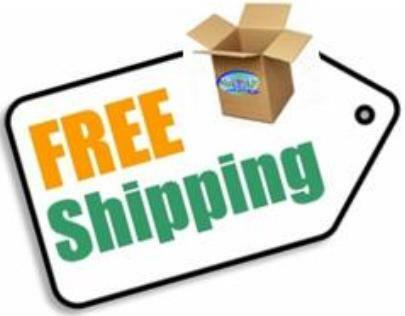 Made of durable high quality components and backed by our standard warranty and superior customer support, you are making the right decision to buy the FreshSpa – the quality choice for bidet attachments. 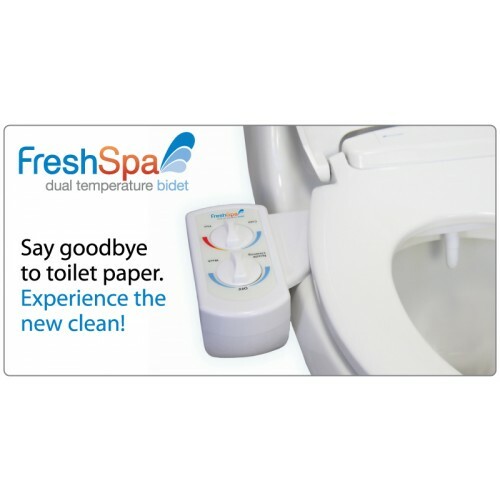 Why go back to dry irritating toilet paper or expensive baby wipes when you can use the Freshspa! It’s simple – highest quality designs backed by superior customer service and value pricing. 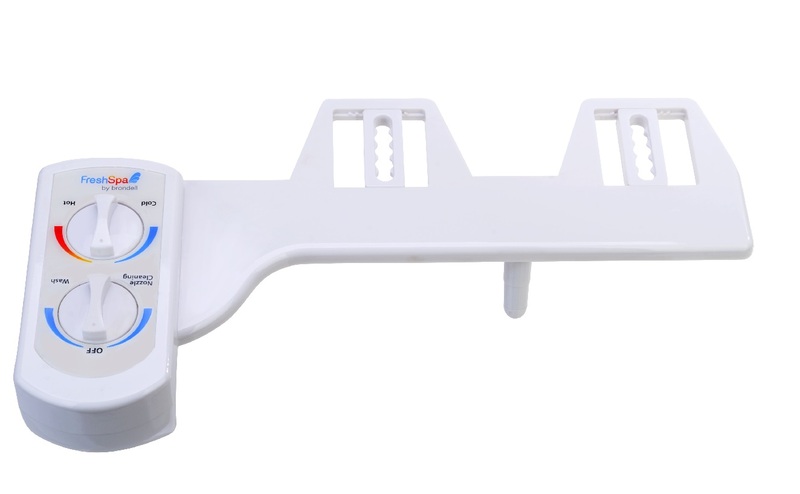 Compare our FreshSpa dual temperature bidet to the competition and you’ll see that most use inferior plastic internal components, plastic connections for the exterior water connections, and plastic T-valves. The Brondell FreshSpa uses a heavy duty solid brass internal valve, solid brass T-valves, a braided PVC hose with metal connectors for the cold water connection, and brass connectors on the bidet attachment. All of the pressurized water connections are made of the highest quality components so there are no messy leaks or drips – it’s our guarantee! 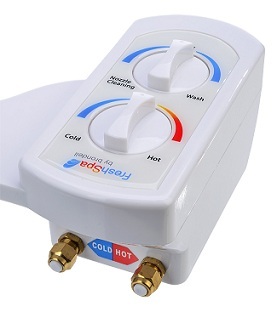 The FreshSpa dual temperature bidet is a snap to install – usually requiring 20 minutes or less. 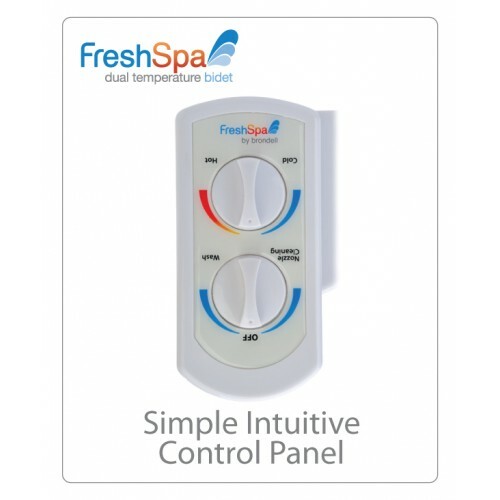 The Freshspa is compatible with all standard 2 piece toilet fixtures and even fits many contoured one piece toilets. The FreshSpa is manufactured with high quality ABS plastic and has a full body panel making it simple to keep clean. 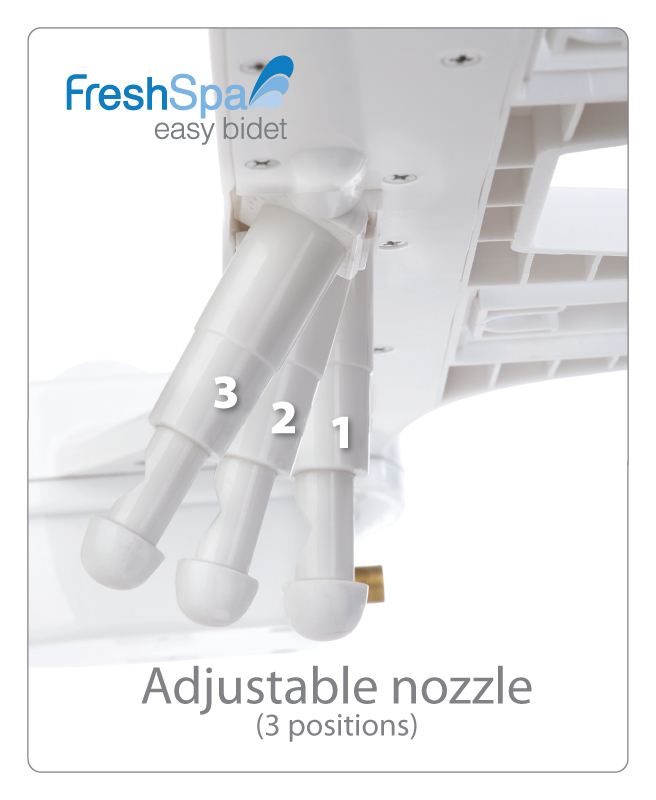 The self cleaning nozzle function makes the FreshSpa bidet attachment a breeze to maintain and provides the ultimate hygienic experience. No. The FreshSpa does not need electricity or batteries. It is hydro-powered by your water pressure. Does the FreshSpa have warm water? Yes but only if you attach it to your hot water line, FreshSpa has no heater.